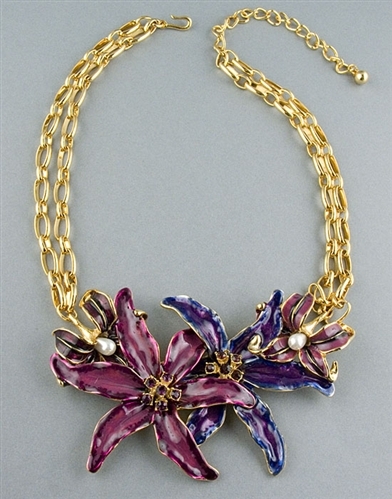 Multi colour enamel flower necklace by Kenneth Jay Lane. 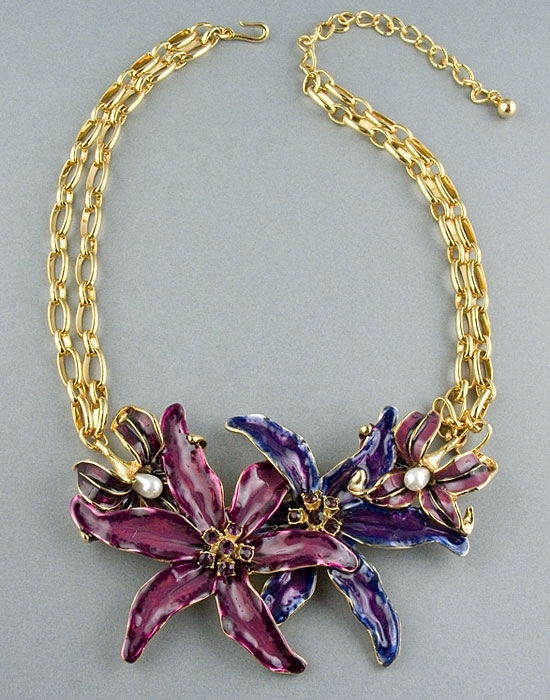 A statement piece of designer jewellery, this striking necklace features four different size enamel flowers with Swarovski crystals and pearls accents and a double gold chain. Necklace measures 52cm /20.5", pendant measures 120mmx 70mm. A striking designer piece of jewellery, easy to wear from day to night, and also makes a wonderful gift idea.